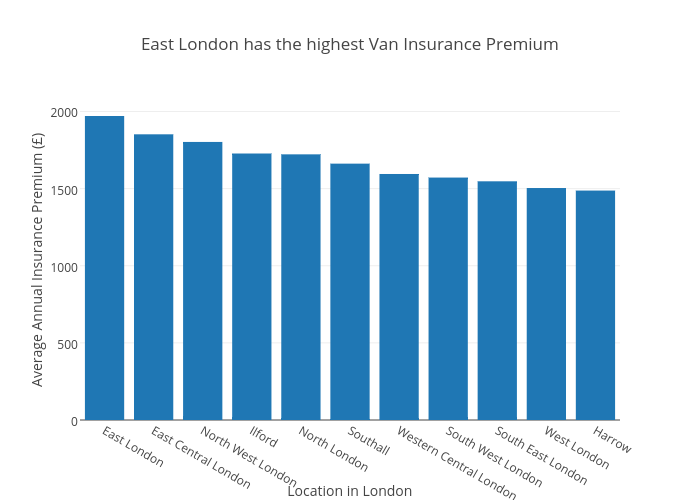 Riannanewman's interactive graph and data of "East London has the highest Van Insurance Premium" is a bar chart, showing B; with Location in London in the x-axis and Average Annual Insurance Premium (£) in the y-axis.. The x-axis shows values from -0.5 to 10.5. The y-axis shows values from 0 to 2074.315789473684.